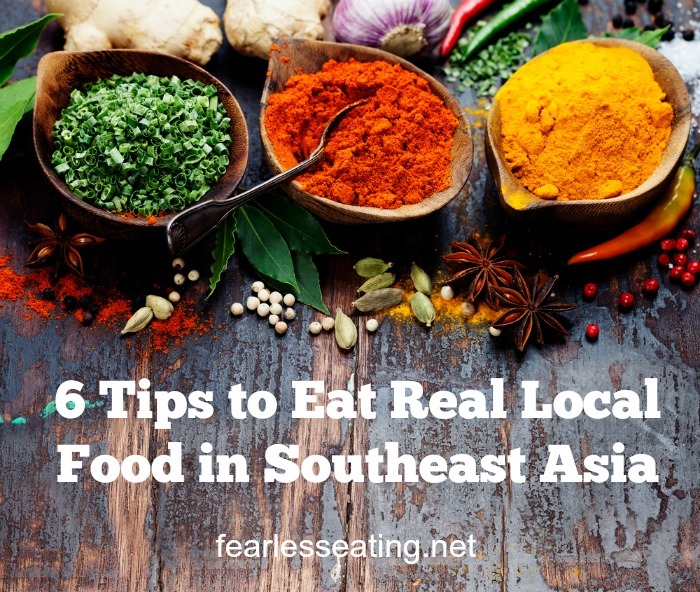 If you’re a foodie who loves to eat real local food when you travel, Southeast Asia can be quite the challenge. It’s difficult to know sometimes if what you’re eating is truly an authentic, real local food dish or some highly processed version of it that’s watered down for tourists. I’ve spent over a year of my life in southeast Asia and I still can’t completely figure it out sometimes. But after 6 weeks here in Cambodia, I’ve noticed some patterns, some trends that I think are fairly consistent throughout Southeast Asia when it comes to finding and eating real local food. 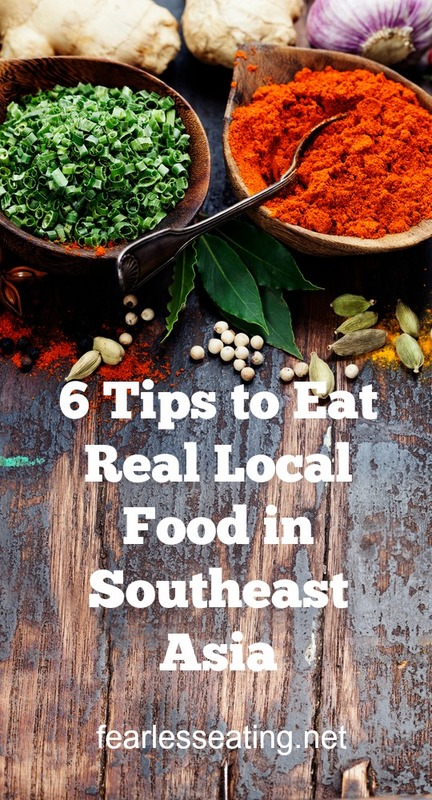 None of these tips are 100% guaranteed to insure you’re eating real local food, but if you follow them, you’ll eat more real local food more often than not. Please, for the sake of God, skip the god-awful western breakfasts that they serve everywhere in southeast Asia. Every hotel, every guesthouse and even some hostels will offer you this. I honestly don’t know how people eat them. The bread that’s served over here makes Wonder Bread taste like it’s made in a French bakery. I’m telling you with all sincerity that cardboard tastes better. I mean it is the most tasteless, dry, awful thing you could ever imagine. And don’t even get me started on the “pancakes.” They’re all served with fake syrup, fake honey and either Nutella® or Hershey’s® chocolate syrup. They’re just gross. The egg breakfasts can be palatable depending on where you go but more often they’re rather skimpy and flat tasting. I don’t understand why people travel to another country and eat the same but worse versions of the food they eat at home. I get so annoyed when I see these places jam-packed with tourists and yet, just outside their hotel is some wonderful local real food breakfasts, at a fraction of the price of their fake western breakfasts. Experiencing the real local food of a new country is one of the great joys of traveling to me! 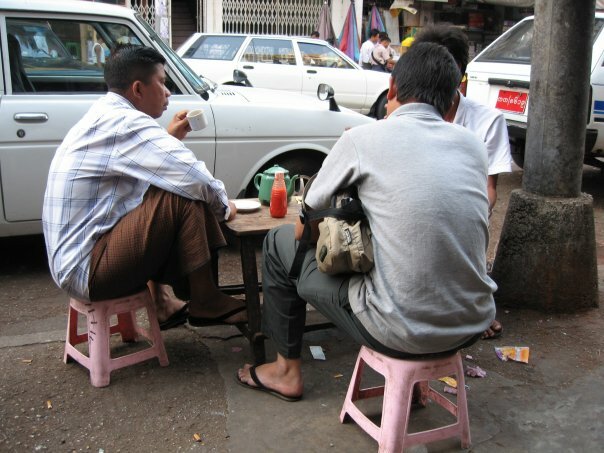 Every morning here in Cambodia I eat one of two things. 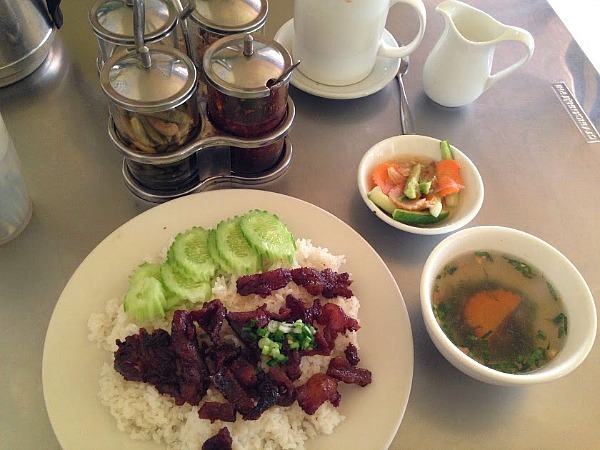 It’s called bai sach chrouk which is a popular traditional breakfast dish of super-tender BBQ pork over rice. It usually comes with a side of pickled vegetables and a small soup. My picture is kind of lame, but I promise you, it’s fantastic. The other thing I eat is some type of rice or noodle soup. And they all cost around a dollar. When I was in Burma, I became obsessed with mohinga, the traditional breakfast soup that I still consider the greatest noodle soup ever. 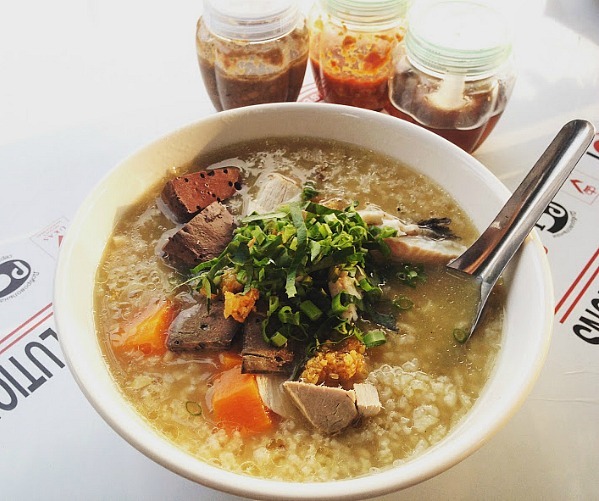 In Thailand, jok (pronounced “joke”) is an intensely flavorful (but NOT spicy) rice congee breakfast soup served with pork meatballs, strips of ginger, scallions and fried garlic. No matter where you are in southeast Asia, real local food breakfasts are just beyond the comfy confines of wherever you’re staying at a fraction of the price for those fake pancakes cooked in soybean oil. Seek them out. Eat with the locals. Experience real local food. You also get to experience a slice of local culture too. It’s part of the joy of traveling. Ketchup, flavorless processed chili sauce and Golden Mountain® seasoning sauce, which, for reasons I don’t understand, is wildly popular here with both tourists and locals. It’s basically fake soy sauce. 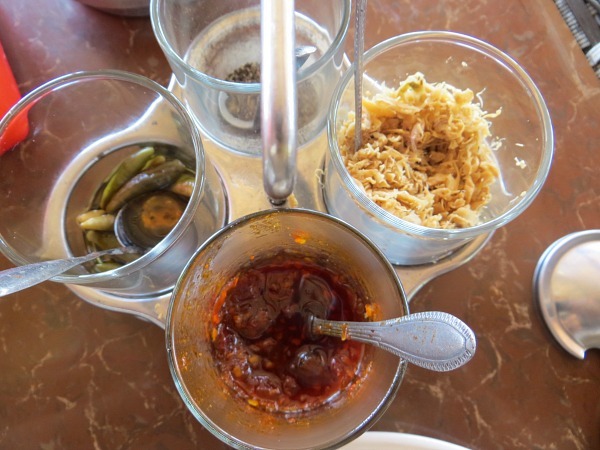 Everywhere I go in southeast Asia, I see these three condiments over and over and over. This is a good sign you’ll be getting some really bad local food. That’s from a great local place I’ve found here in Kampot. The woman who runs the places makes these herself. The one in the front is a chili paste with garlic, on the left is pickled chiles and on the right is dried sauerkraut. Other places have their own homemade versions of various pastes, relishes and sauces. 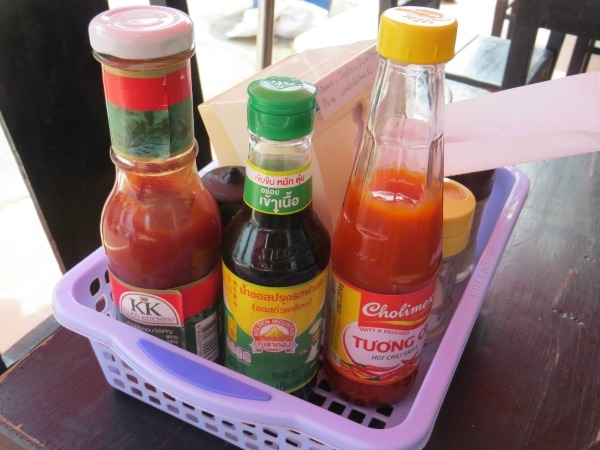 In Thailand, the real Thai places have a caddy of condiments on the table which almost always includes chilies in fish sauce (nam pla prik), chiles in vinegar (prik nam som) and a dried chile powder. These real condiments add such wonderful flavors and contrasts to soups, noodle and rice dishes! I’m not saying you can’t get some good real local food here. You can. But a lot of the local food served here is watered down for western palettes. More often than not, I’m highly disappointed when I order local food at these places. There’s not enough spice and not enough flavor. And of course, there’s no good condiments on the table to adjust the taste to my liking. 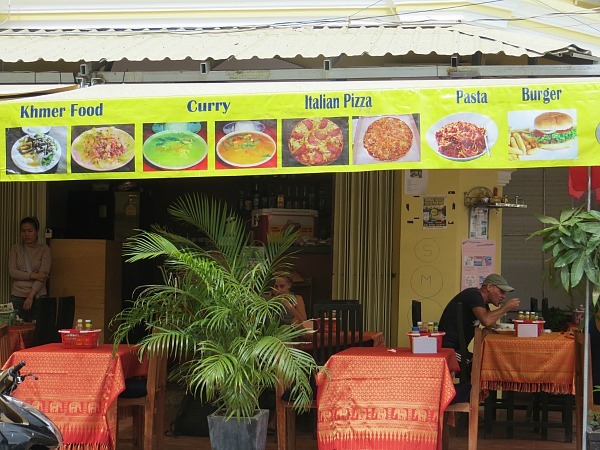 These places try to cater to everyone and are almost always owned by westerners. The menus are almost Cheesecake Factory-like in length with pages and pages devoted to pizza, pasta, burgers, sandwiches and then a section with local food. I just don’t trust these places and I mostly avoid them. If you want real local food go to the places that are ONLY serving real local food. If you’ve never been to Southeast Asia, this probably looks ridiculous. No, it’s not always comfortable. Yes, you’ll feel like you’re eating in a dollhouse. But this is the way it is all over Southeast Asia. Most local people can’t afford to open restaurants. 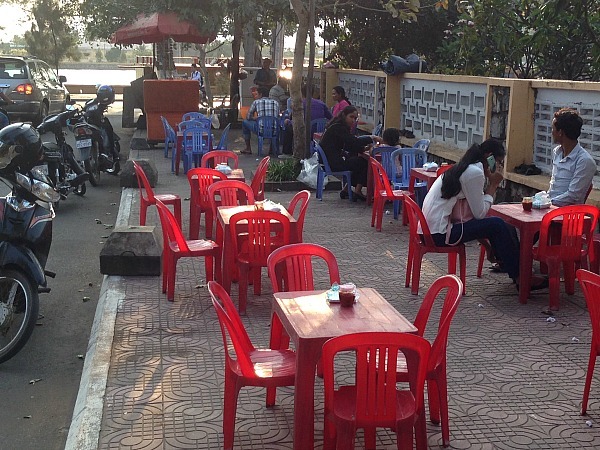 They have these make-shift places on sidewalks with few coal or gas-fired burners serving as a kitchen but they’re cooking up some REALLY great stuff. Seek out the little plastic chairs and you’ll often be rewarded with some great real local food. When it’s 95 degrees by 10 AM every day, an iced coffee in the middle of the day can really hit the spot. But if you don’t ask for fresh milk you’ll probably get sweetened, condensed milk instead. Don’t get me wrong, it tastes really good. But it’s such a crappy product. Sweetened condensed milk is basically poor quality milk that’s had the water removed and the sweetened to death with sugar. The consistency is more of a thick syrup than liquid milk. That’s a pic from my trip to Thailand last year. 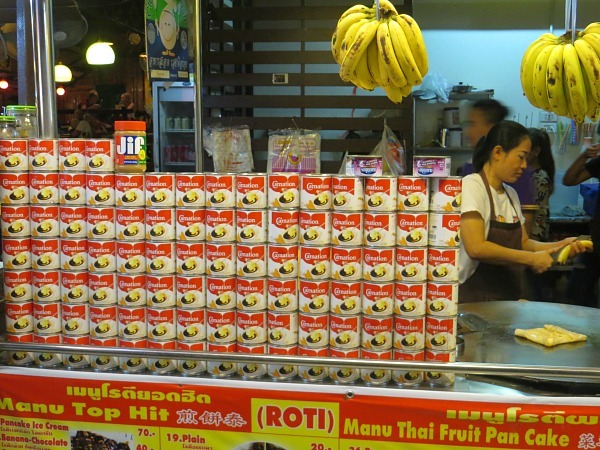 You’ll often see cans of Carnation milk stacked up like this which for whatever reason, tends to draw in lots of customers. Now the fresh milk you’ll get won’t exactly be top-notch quality either. But you’re not gonna get pasture-fed raw milk over here so sometimes you have to make compromises. Avoid the condensed milk as much as you can and ask for fresh milk in your coffee. I hate to say it but even the best real food local places are using gobs and gobs of soybean oil. It’s the newfangled cheap cooking oil of Asia. No one uses the traditional southeast Asian oils anymore – coconut, lard or even good quality palm oil. They’re too expensive for most places. And absolutely no one seems to understand that eating lots of vegetable oil poses many health risks. You’ll never be able to fully avoid soybean oil, unfortunately, but one thing you can do is to eat more soups. Soups are an everyday part of the cuisine of all Southeast Asian countries – rice soups, noodle soups, broth-based soups, coconut milk-based soups, veggie soups, seafood soups, meaty soups – you name it, there’s a soup for it over here. And they’re so very nourishing and delicious. I try to eat as many soups as I possibly can when I’m over here. 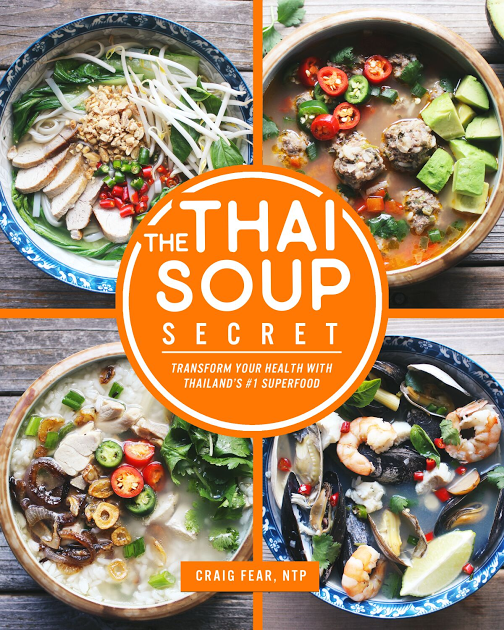 I even have a book coming out just on Thai soups called The Thai Soup Secret! Update: it’s now available! Click here to learn more. All these recipes use REAL ingredients including real Thai condiments. It’s based on my travels around Thailand and I’m excited to show westerners that there’s a lot more to Thai soups than just tom yum and tom kha. And I’m excited to show people how healthy, nourishing and simple they are to make at home. Click here to learn more and download your copy of The Thai Soup Secret.